Mobizen Screen Recorder is a convenient and simple to use screen recording tool for the Android OS. Besides that, it doubles as a screenshot app and an editor for both videos and images. It runs on Android version 4.4 and above and requires no root privileges to function. Most of the devices we use come with in-built screenshotting capabilities but do not give extra options like the way Mobizen does. Mobizen is easy to get started with as you just need to download and install the free app from the Google Play Store. When you launch the app after installation, an AirCircle (circle menu) appears at the edge of the right-hand side of the screen. 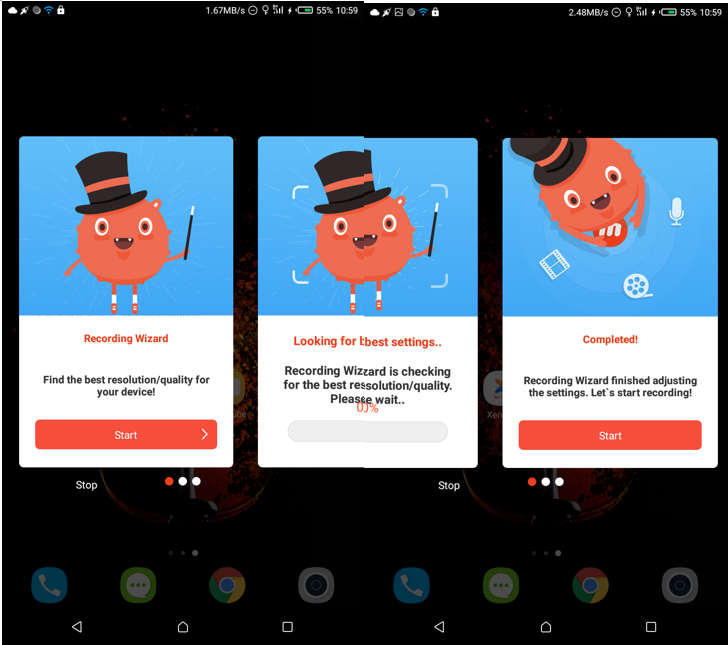 It is from this point that you can initiate a screen record, take a screenshot, retrieve recorded images and videos, besides accessing the various settings that come with the app from the same circle menu. What’s more? The floating AirCircle can be customized with an image instead of the Mobizen logo, change the opacity level of the icon with transparency effects and also an option to hide automatically when the recording process starts. Also when launching, Mobizen is able to automatically check your device so that it can adjust recording settings to the optimum level to ensure the best recording experience. A wizard is also available to help you find the best resolution and quality for the video to work with. Once the adjusts are made by the Mobizen wizard, the recording will be ready to start. Whether you opt to use the wizard or set your own recording options, a countdown option of 3/5/10 seconds is provided so that you are not caught unawares when the capture starts. Mobizen aims at giving you the best screen recording experience especially when it comes to quality of the output. To be precise, Mobizen has the ability to record in Full HD. You can get a maximum of 1080p resolution, 12Mbps quality and highest of 60 frames per second. You are guaranteed the best video quality once you decide to work with these settings. This ensures that you don’t have an excuse when delivering content that a viewer struggles to make out. Screenshots can be taken easily and conveniently from the AirCircle at a single click. The snapshot will be saved automatically to your device ready for further editing if need be and later sharing. Mobizen makes this possible in an easy and intuitive way. 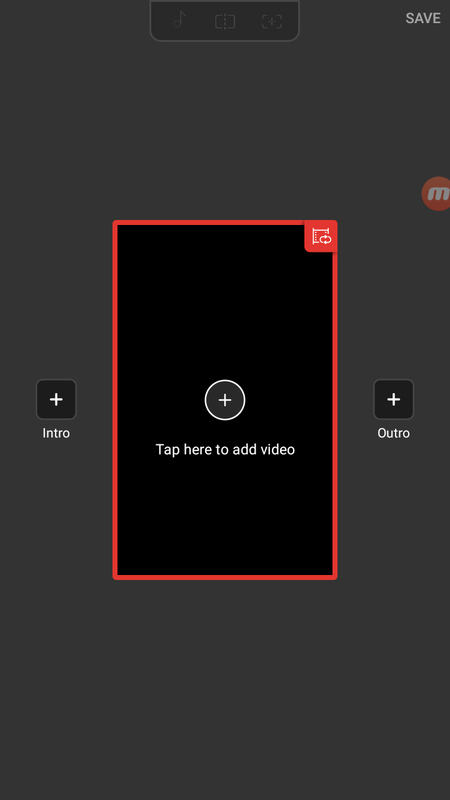 This is a very special mode that comes with Mobizen screen recorder. It is a mode that allows you to hide various components so that you can record just the screen as a whole with nothing overlaying. Besides, it helps to reduce lags on low-end devices and increase the frame rate in general. The components hidden in this mode include; watermarks, AirCircle, timer, facecam and even touch points. Personalization does not only happen in desktop screen recorders but also when it comes to the Android OS. 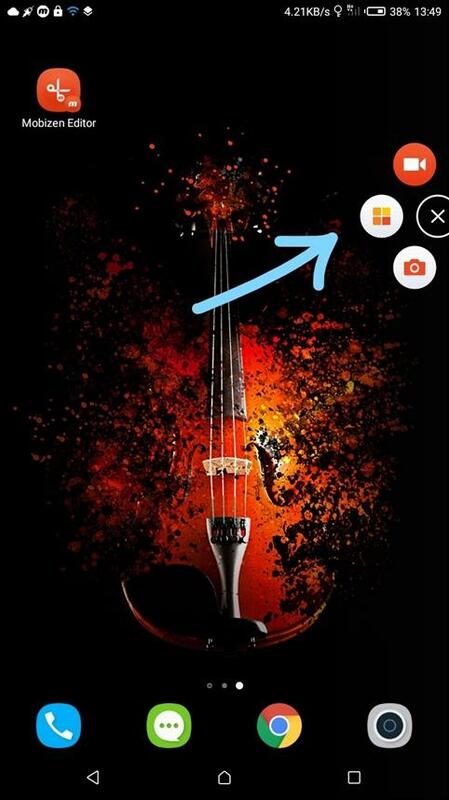 Mobizen has given this option to you to enable you to personalize your recordings as you wish. This can happen in various ways with the first being the inclusion of footage from the front-facing camera. With the selfie camera, you will be able to include your own body reactions. In addition to this, verbal reactions and narrations can be added to the main recording using the microphone. Better yet, Mobizen allows for customized watermarks to be added which can carry an organization logo or even a personal logo as per preference. Trimming, splitting and cutting of recorded video to make sure it fits the right length and also remove unwanted portions of the video. Adding of external media like images that carry some information necessary for the video. Perform extra personalization by including background music to your video just in case you recorded without audio and you would not like the video to be boring for the viewer. Adding of intro and outro to the video to even spice it up even more. Audio volume can be adjusted as necessary to make sure it is at the optimum level. Mobizen gives you all these tools at your fingertips to play with as need be. You can tinker with the video as you like depending on the kind of output you want to have at the end. In addition to all the above, Mobizen also has extra features that it has to offer for enhanced control. One of these features is a handy one that allows you to set the path where to save captures be it the internal memory or the SD card. 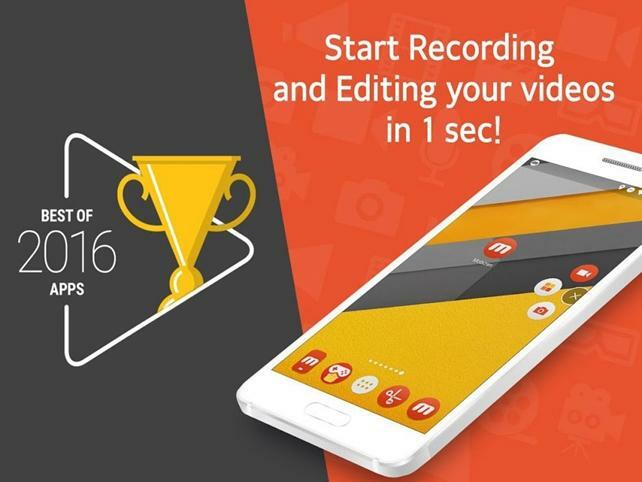 There is no time limit when it comes to recording with Mobizen. When editing the final video, you have a feature where you can extract a screenshot from the same video and save locally. 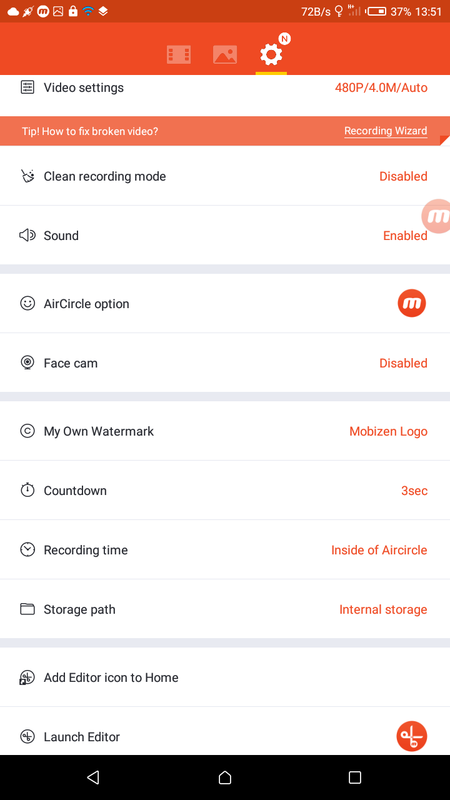 On top of that, when recording with Mobizen, you have various ways of showing time be it inside the AirCircle, top-left corner, top-right corner, bottom-left corner and even hide it completely. When you need to start a recording, there may be lots of background apps running on the device. If Mobizen detects that there isn’t enough memory to be used in terms of RAM, it automatically triggers the clearing of the background apps hence releasing memory. This also ensures that the app can run smoothly without any lags giving the best output. Despite the app coming free, there are features that require in-app purchases to use them, especially for the special function options. We conclude this Mobizen review by acknowledging that this app has all that is needed to give the best experience when it comes to screen capture and screenshots. From screen recording to capturing snapshots and finally the editing options provided, you can be assured of making the most out of the whole process. Mobizen is a superior screencasting app for the Android OS and can be used by anyone easily without much hassle as there is no steep learning curve at all.